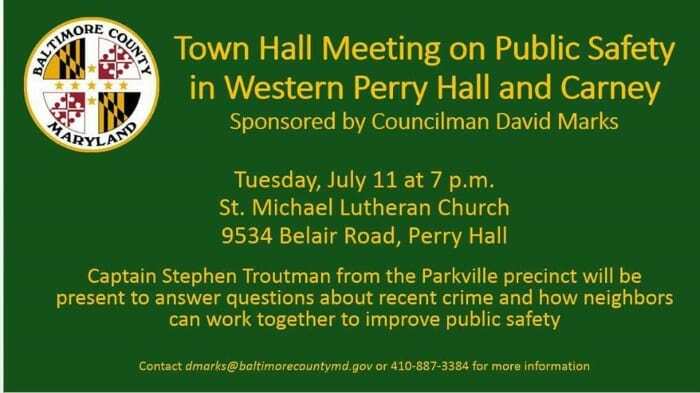 Baltimore County Fifth District Councilman David Marks will be holding a Town Hall next month to discuss crime in and around Perry Hall and Carney. The event will be held on Tuesday, July 11, at 7 p.m. at St. Michael Lutheran Church on Belair Road. Residents will be able to ask Capt. Stephen Troutman from the Parkville precinct about recent crime in the area. Participants can discuss strategies that are being implemented and how neighbors can work together to improve public safety. St. Michael Lutheran Church is located at 9534 Belair Road in Nottingham (21236). “This is an opportunity for residents to ask about what is being done to improve public safety, and how neighbors can work together in the future,” Councilman Marks said. 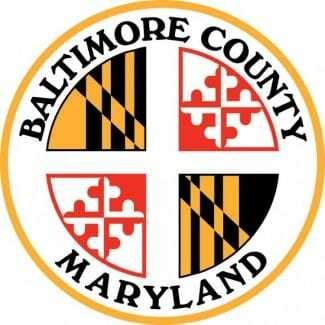 For more information, contact Councilman Marks at dmarks@baltimorecountymd.gov or 410-887-3384.